UBC alumna and women’s rights activist Loujain Al-Hathloul remains detained in her native Saudi Arabia despite public calls for her release by the Canadian federal government, following an escalating diplomatic spat with the kingdom. Al-Hathloul, who graduated from UBC in 2014 with a bachelors degree in French, was arrested the same year for advocating for women’s right to drive by breaking the driving ban herself. On May 15, she was detained again along with nine other activists, some of whom have now been released. While the charges are still unknown, the activists have been called “traitors or foreign agents” by pro-Saudi Arabia government media. Saudi Arabia’s ban on female drivers was officially lifted in late June. The Canadian government publicly criticized the recent string of human rights violations in Saudi Arabia, calling them “inconsistent with the Saudi government’s stated commitment to create a more tolerant and open society” in a July 31 emailed statement to The Ubyssey from Global Affairs Canada. The next day, the Saudi government further announced its plans to withdraw its more than 15,000 Saudi students studying in Canada on government sponsorships. At UBC, there are about 280 current and new Saudi Arabian students, of which 80 per cent are supported by the Saudi Arabian Cultural Bureau. “Canada is gravely concerned about additional arrests of civil society and women’s rights activists in #SaudiArabia, including Samar Badawi,” tweeted the official Canadian Foreign Policy Twitter account — which is run by Freeland’s ministry — following the arrest of activist Samar Badawi on August 3. Freeland further tweeted that she was “alarmed” by the decision and called for the release of both activists, who are among over a dozen imprisoned over the last few months. Currently, false reports that Al-Hathloul faces decades in prison are circulating on several websites, but a statement from Amnesty International to The Ubyssey confirmed that she has not been officially charged. The organization added that any guesses about her prison time would be “speculative,” but it indicated Al-Hathloul could face up to 20 years in prison should she be charged and tried before the Saudi counter-terror court. 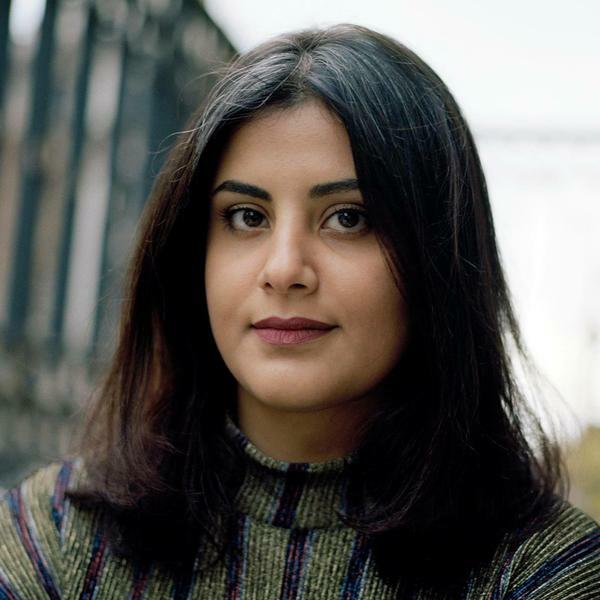 “Shockingly, Loujain al-Hathloul and the other women human rights defenders remain in detention without charge since mid-May. If detained solely for their human rights work, they should be released immediately and unconditionally,” wrote Lynn Maalouf, Amnesty International’s Middle East research director, in an August 8 emailed statement. Amnesty International also confirmed that she has had no access to a lawyer or contact with her family since being detained over two months ago. UBC President Santa Ono, who wrote directly to Freeland after faculty urged him to take action in a May 29 open letter, confirmed that the university is still concerned for Al-Hathloul’s safety. “I have expressed my concerns over Ms. Al-Hathloul’s detention and treatment to the federal government and have also asked that the federal government work with its Saudi Arabian counterparts to secure her immediate release,” he wrote in a July 31 emailed statement. However, now that negotiations have fallen through, further options for university action appear unclear. Dr. Sima Godfrey, French professor who taught Al-Hathloul, has been in direct contact with the federal government regarding Al-Hathloul’s imprisonment since mid-May, but now sees a need for further international pressure to ensure her release. “I admire Minister Freeland for her principled stand — as does Amnesty International — but am discouraged by the tepid response from the EU and NATO,” wrote Godfrey in an email, echoing Amnesty International’s stance. Godfrey, who signed the initial open letter urging President Ono to take action, is still hoping that a peaceful solution may be reached.